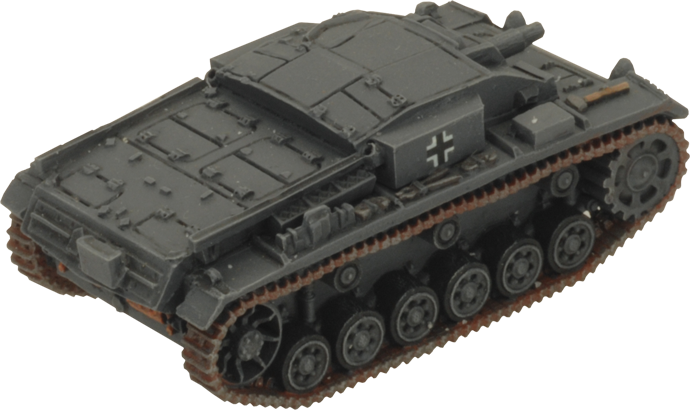 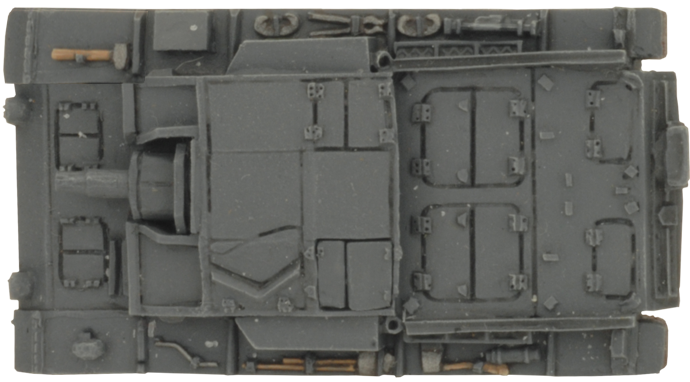 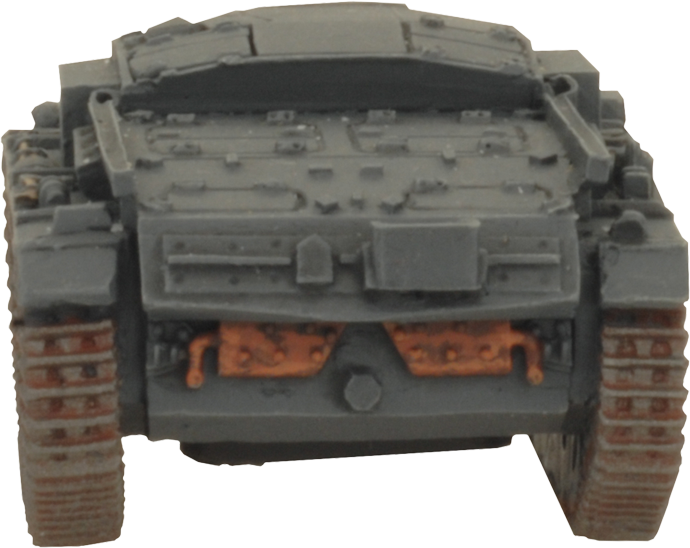 includes three resin and metal StuG (Early) Tanks, one plastic Commander sprue and one Unit card. 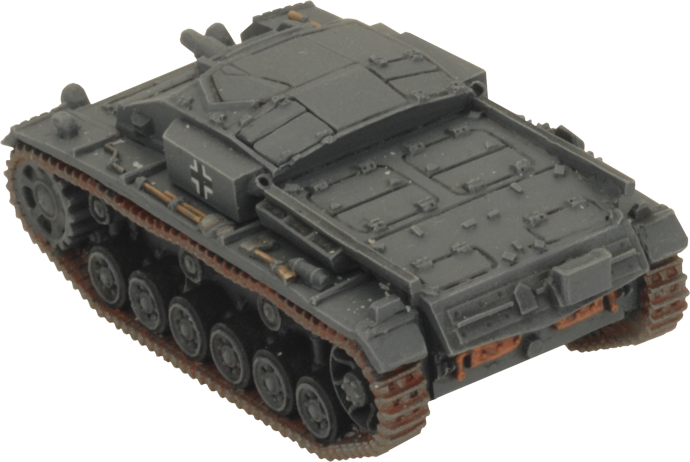 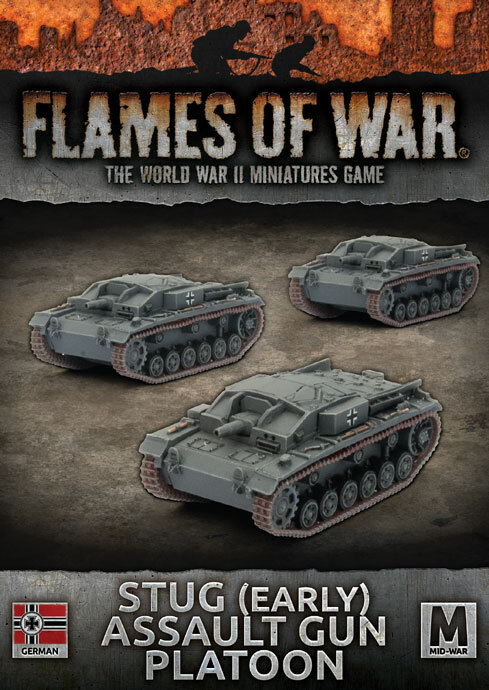 Cheaper to produce, but packing the same the same punch as a Panzer IV, the StuG is a versatile and effective weapon of war for the Germans battling ferociously on the Eastern Front. 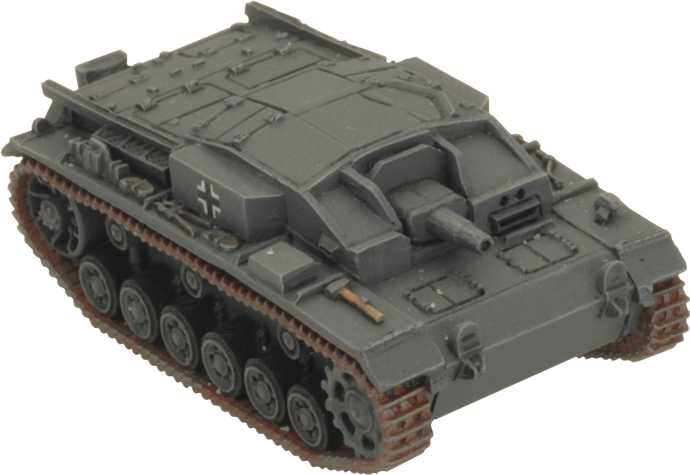 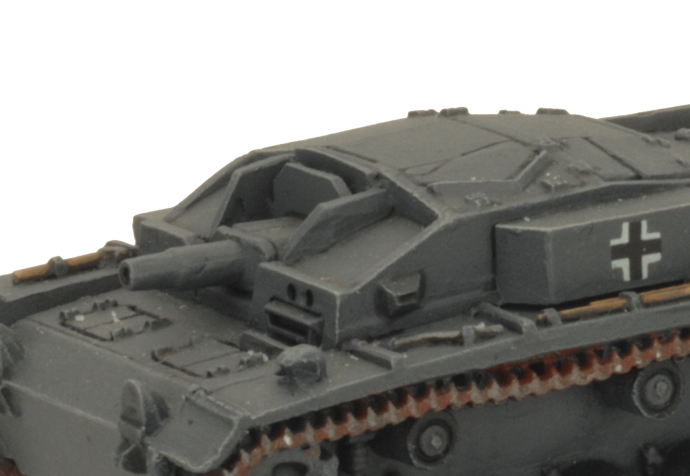 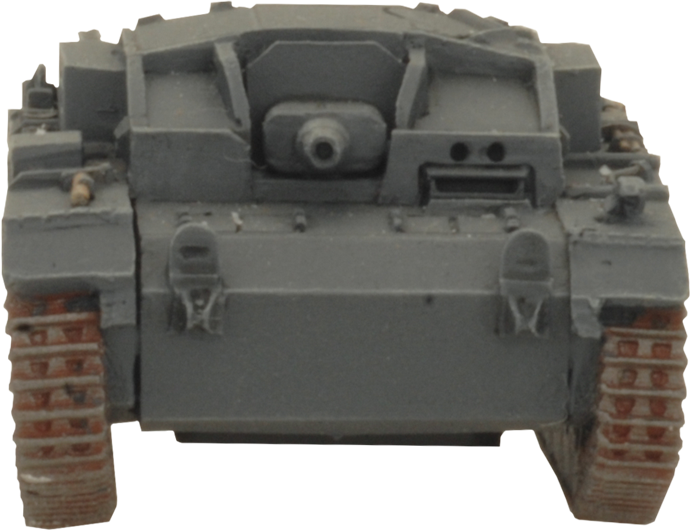 The low profile of the StuG gives it an extra edge in concealment and ambush tactics. 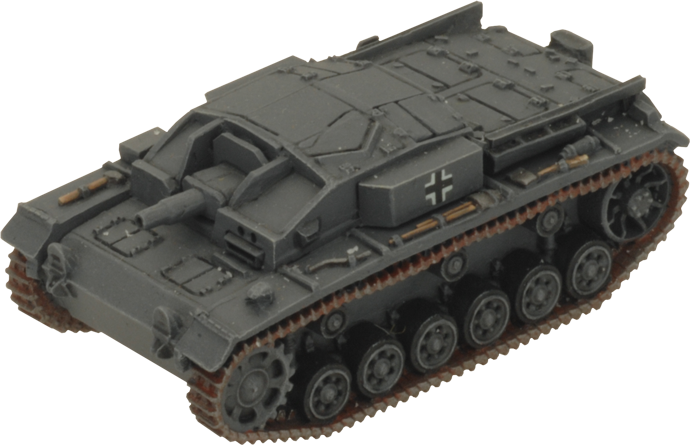 Being a whole turret lower than a tank, the StuG is well suited to laying in wait to spring traps on the enemy, and its profile makes it much harder to hit overall. 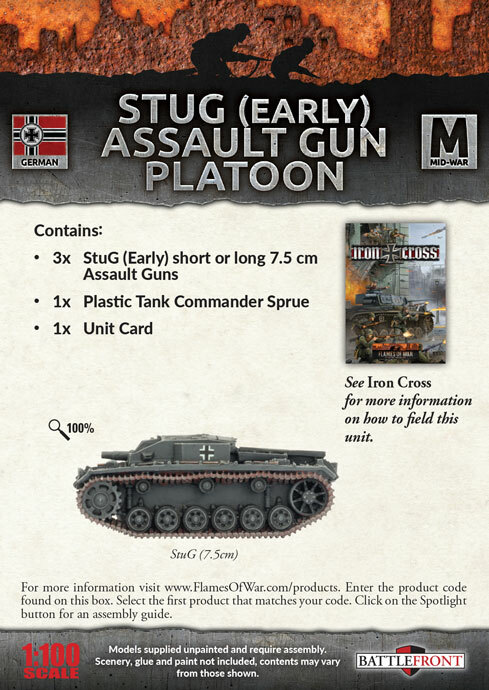 To keep up with the infantry the Stug was designed to support, StuG commanders make use of the Stormtrooper special rule which allows them to close with the enemy alongside the Grenadiers and bring their fearsome firepower to bear against the enemy, clearing the way for the infantry to push.